I searched Amazon.com and ebay.com, can not find this model. Apple actually has an article specifically about this, right here. Apparently they have a rubber foot replacement kit which you can get if you contact them and request it. Personally I would just find some soft-side velcro, felt, or some other craft material, cut out a few small circles with an xacto-knife, glue it on with Loctite (which is what Apple uses according to their article above) and call it a day. If it really bugs you and you want someone else to cut out the little circles for you..
As a former Mac Genius, I can tell you it's impossible to buy the feet separately as a replacement. You will have to get the bottom "plate" replaced. If it's under warranty, awesome, if not, it's less than $20 to get. Is it okay for a brand new 13" MacBook Pro Retina to not sit flat? How can I use hyper-V in windows 7 on a Macbook pro using Bootcamp? How many GPUs my macbook pro has? Can I put PC hardware in a MacBook Pro case? 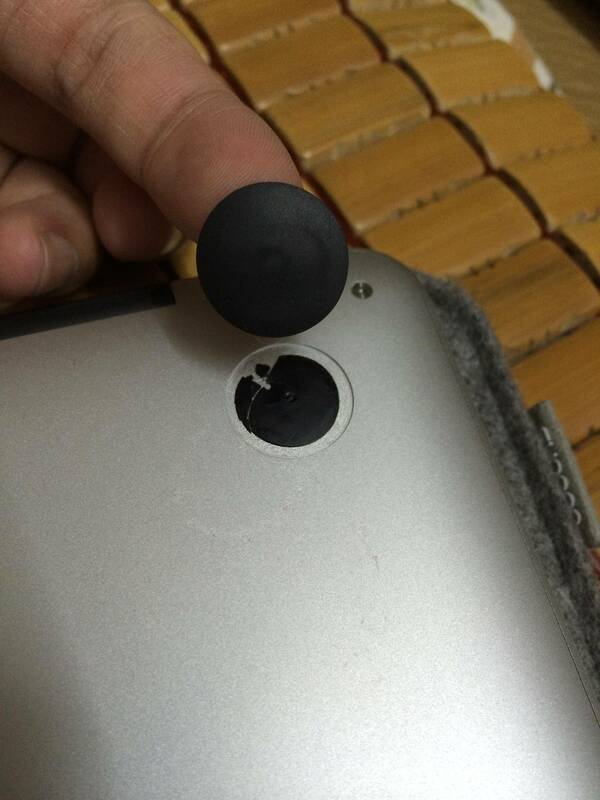 How to replace retina MacBook Pro rubber feet? What does model name means for MacBook Pro?